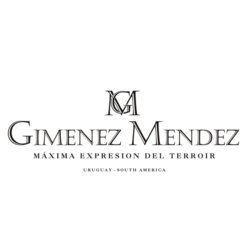 GIMENEZ MENDEZ is an established Uruguayan winery, placed in the purest area of South America, fully owned and managed by the GIMENEZ MENDEZ family. Our vineyards and winery are located in the regions of Las Brujas, Montevideo, Los Cerrillos and Canelón Grande, in the south of Uruguay, a privileged territory for the production of fine wines, where the soil, climate and grapes seem to be blessed. We produce fine wines with a commitment to quality and excellence attainable only in a truly family enterprise. Our wines are in the process of global expansion and today we can be found in the United Kingdom, Germany, Switzerland, USA, Brazil, Barbados and México. We are regarded as a reliable supplier of high quality wine, oriented to a segment of demanding consumers and wine lovers interested in discovering the new sensations from the new world.